Maija, Elodie, Wenneri, Athos, Suze and Porthos. 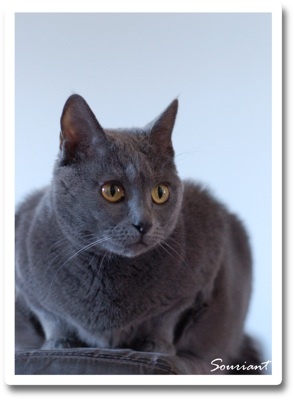 The Chartreux is a very old breed: the blue cat was mentioned in the French medieval literature for the first time in the 16th century. In Finland this charming French breed was re-established in 1999.